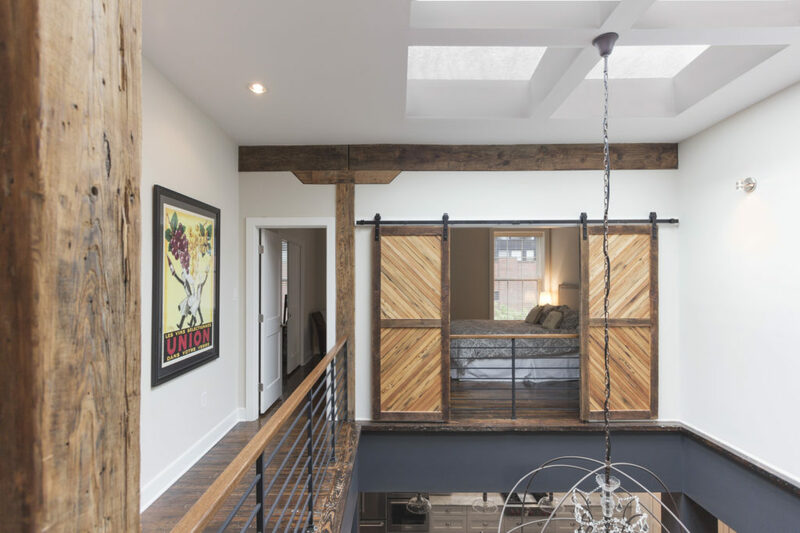 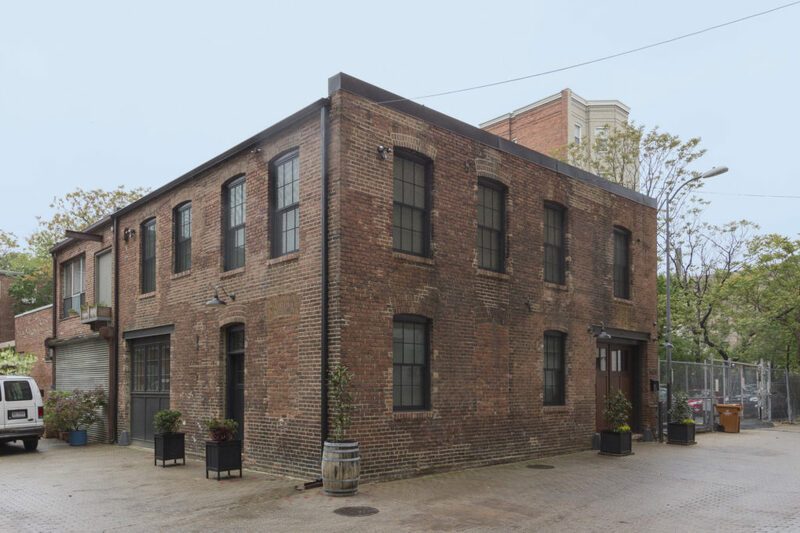 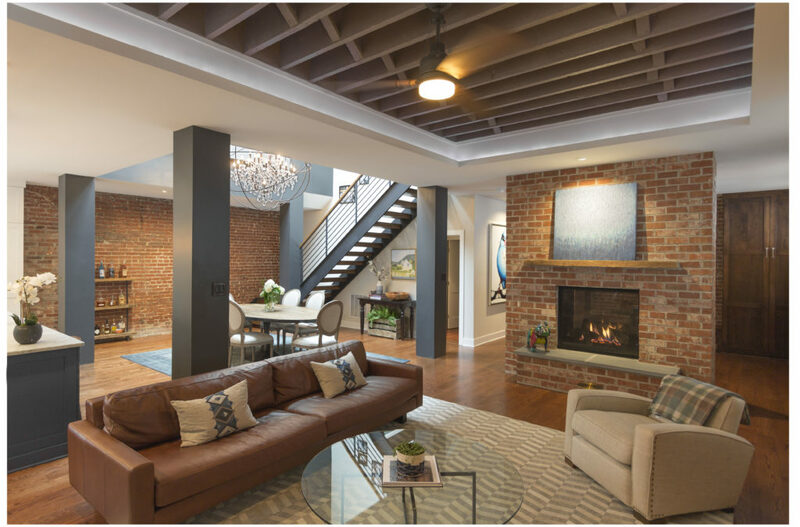 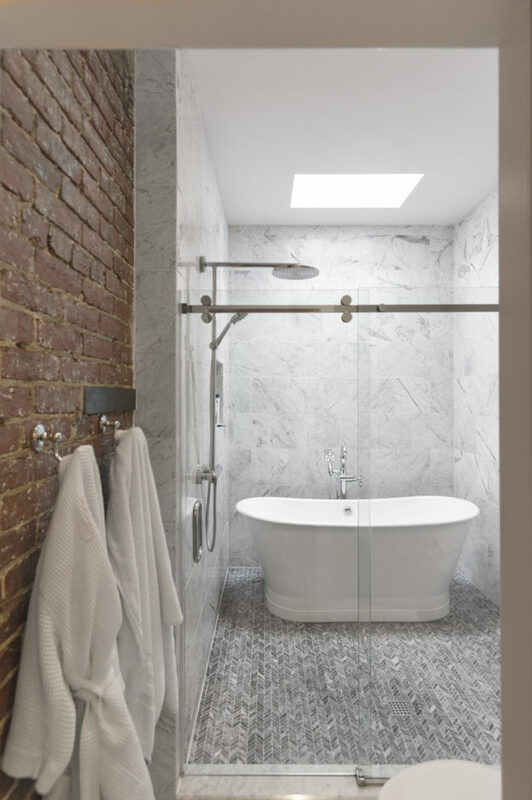 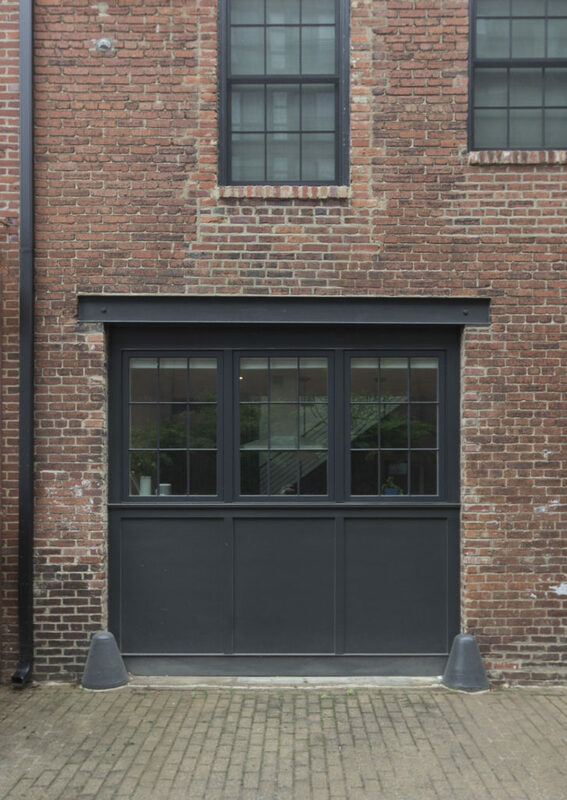 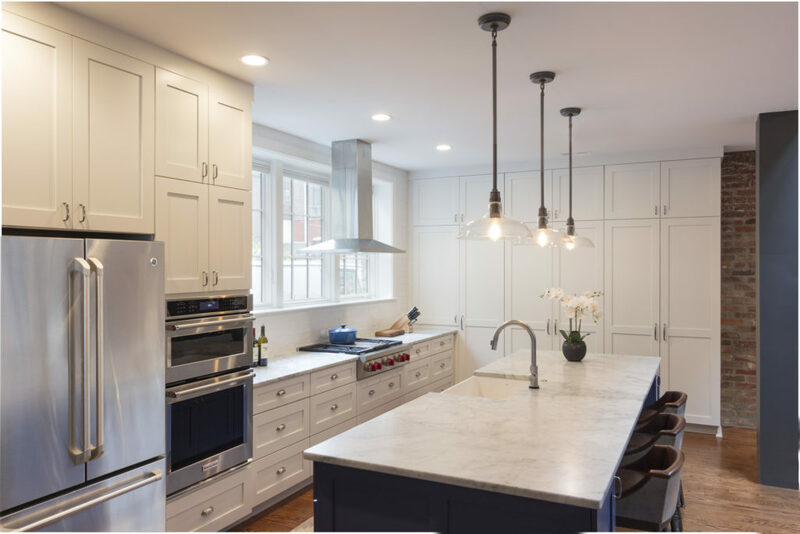 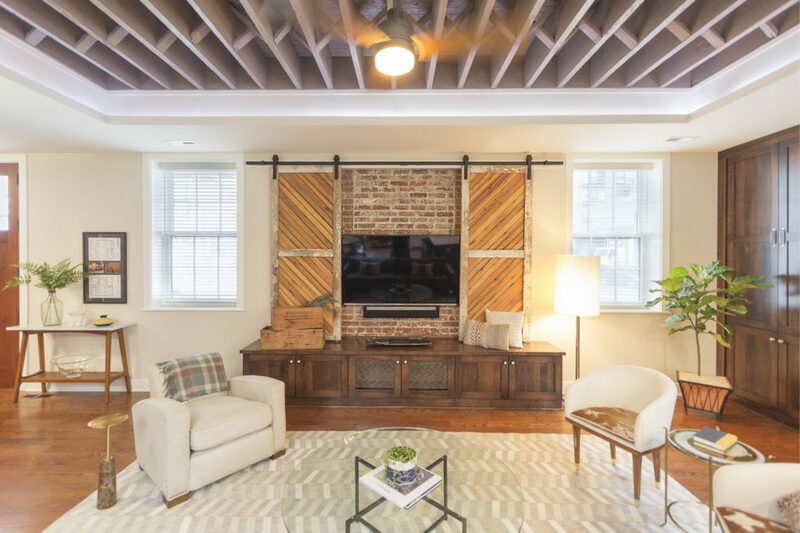 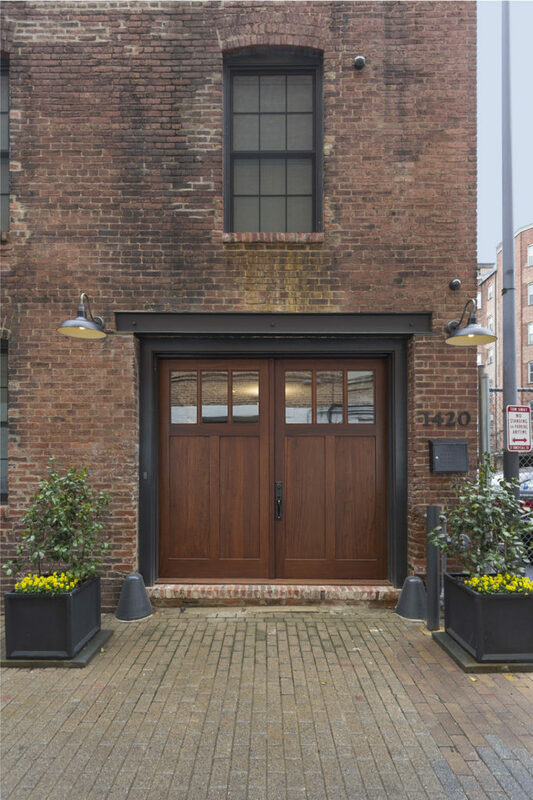 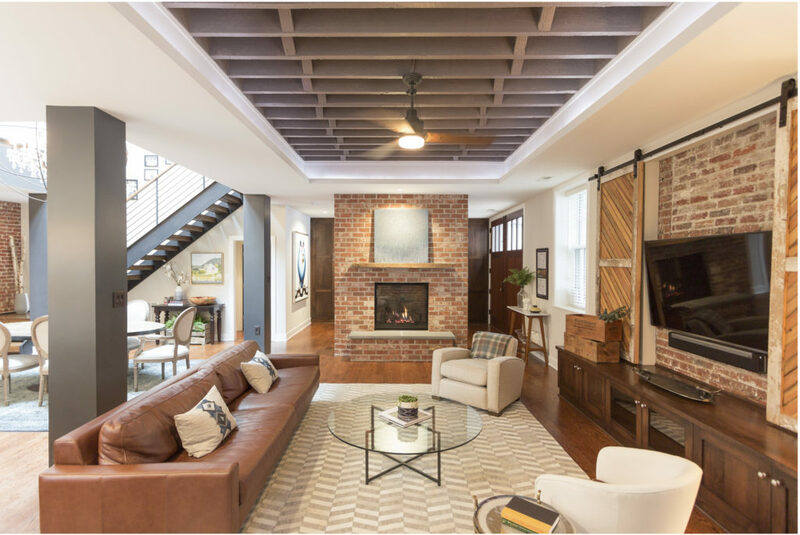 This renovation converted an existing garage with an apartment above into a new 3-bedroom alley dwelling along DC's U street corridor. 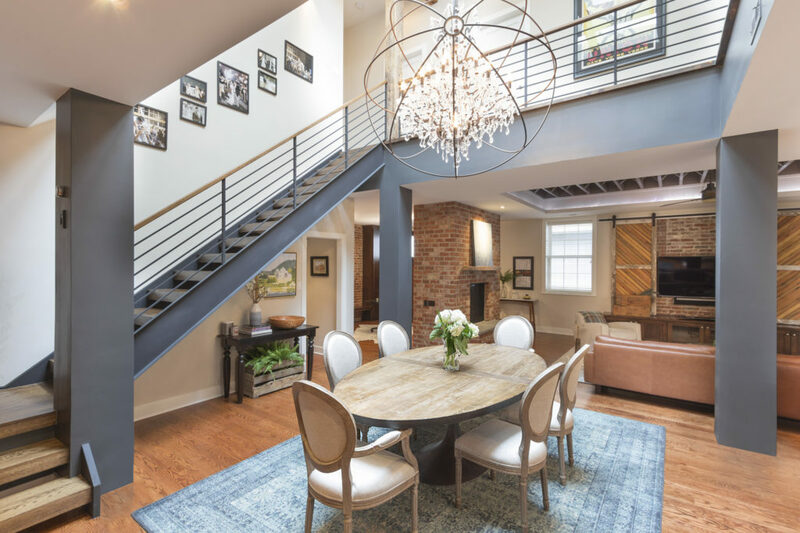 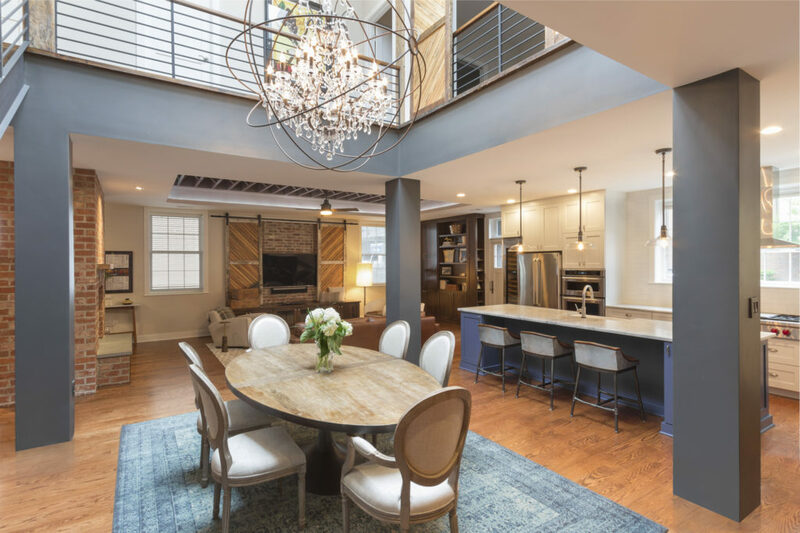 The central 2-story dining room crowned by a large skylight organizes the floor plan and distributes natural light throughout the home. 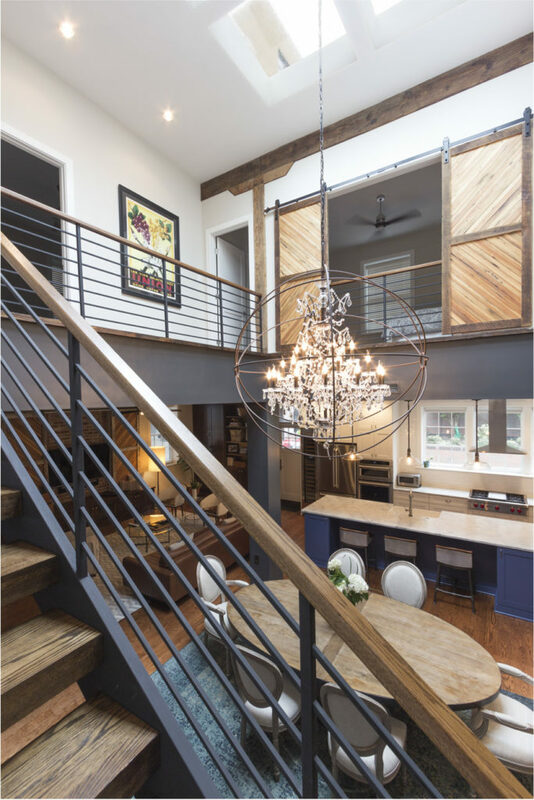 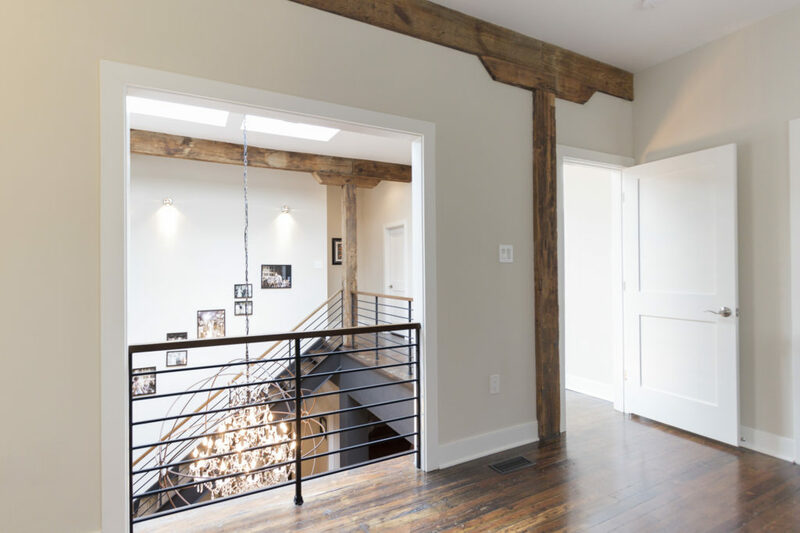 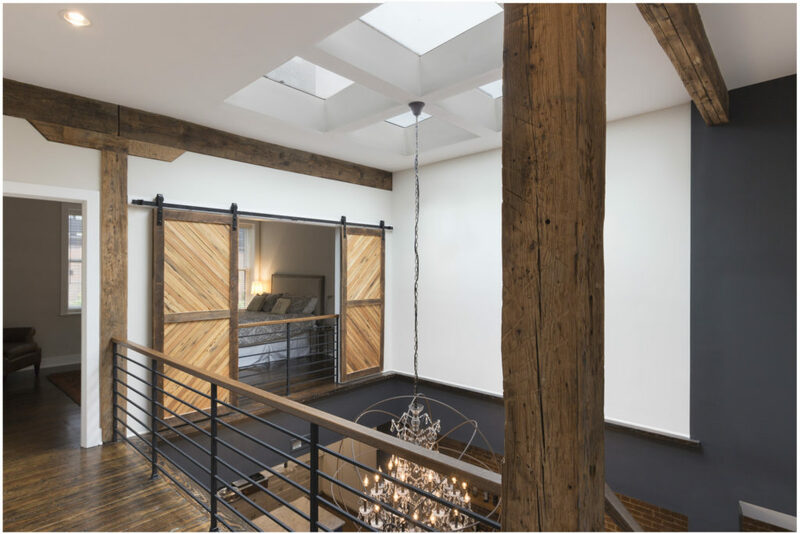 Celebrated wherever possible, the existing building materials serve as a rustic backdrop to figural design elements including a new steel stair and grand dining room light fixture.